Many celebrities sport short hairstyles and they have some significant short haircuts identified with them. We can say that celebrity hairstyles create some of the hair trends too! So here in this post we have gathered the images of Celebs with Signature Short Hairstyles for you! Michelle Williams’s pixie cut couldn’t get credit at first but she sports many different version of this pixie cut and now this cute haircut is her signature style. Asymmetrical styles are great for ladies with hearth shaped or triangle face shapes. 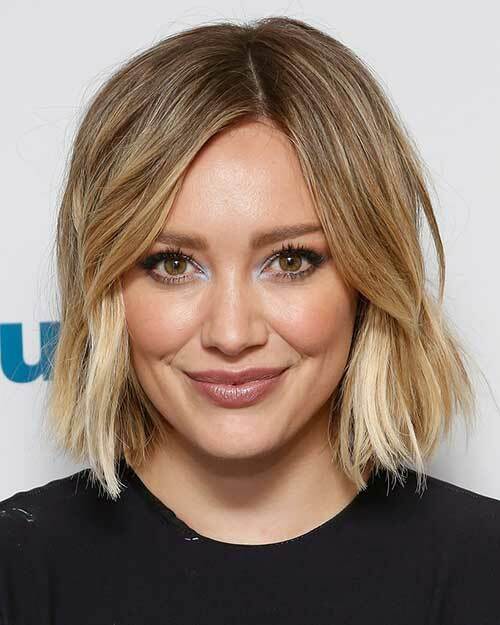 Hillary Duff sports side parted ombre bob hairstyle with loose waves in this pic. Nicole Richie looks really different with her platinum blonde sleek short bob but this style always be remembered. If you have dark skin tone like her, this blonde pixie with long side bangs would really flatter your face. Here is another icon look, she has changed her hair color but still sporting her signature inverted bob hairstyle. 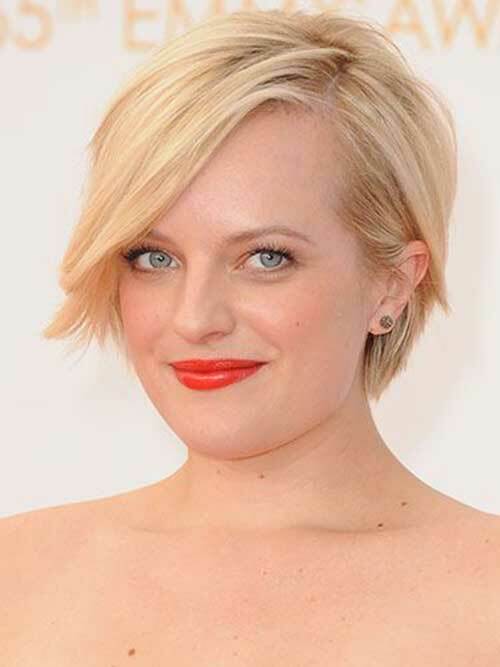 Here is a cute side parted short bob hairstyle of Elizabeth Moss, side bangs frame her face nicely. 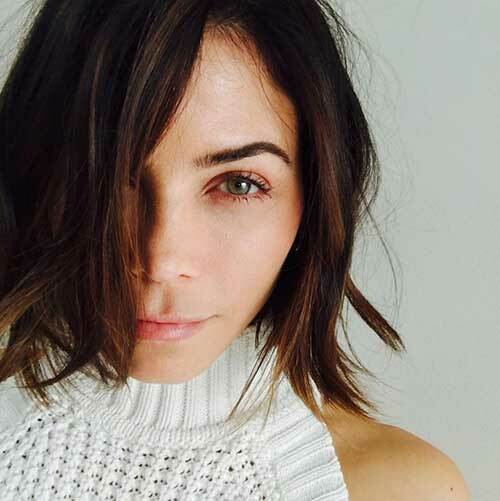 Choppy layers are great for giving a texture and volume to thin and straight hair. Middle parted blonde bob hairstyle of Lea Seydoux is styled into messy waves. 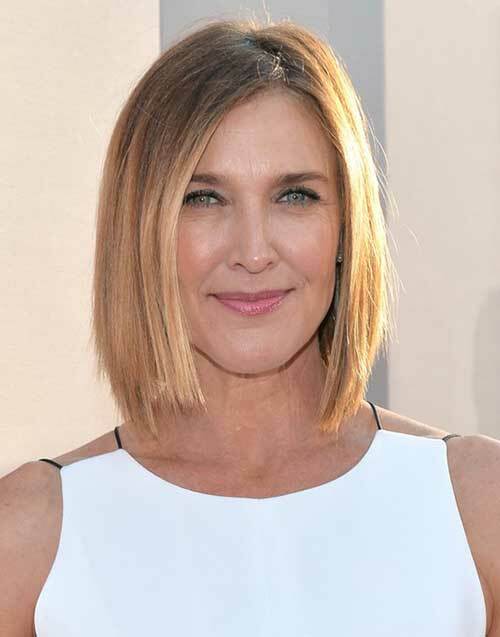 Layered ombre bob hairstyles are nice choice for mature ladies and women of all ages with thin hair. You may think there is no special styling options for short hair, here is voluminous slicked back pixie! Here is a cute and simple short bob hairstyle with side parted style and gorgeous blonde hair color. Tyra Banks chop off her long locks to sport this pixie cut with wavy bangs and highlights. Here is gorgeous golden blonde layered pixie cut that perfectly frame her face with side bangs. Here is a classy short hairstyle idea that looks like a updo style. Emma Watson chopped her hair off after Harry Potter series, and this pixie with wispy bangs one of her signature looks. Lastly we will show you side parted slicked pixie cut of Shailene Woodley.